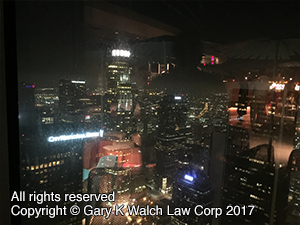 Downtown LA, California Car Accident & Pedestrian Accident Lawyers with Over 40 Years of Experience and Success Rate of More Than 95%! Car and auto accidents in downtown Los Angeles, California, with its congested traffic and many pedestrians, cause serious injuries, major property damage, and sometimes even wrongful death. Our Downtown wrongful death, car accident personal injury claims lawyers have a 95% success rate in handling thousands of personal injury cases in Downtown L.A., and throughout all of Los Angeles and California. With more than 40 years of experience in handling thousands and thousands of car accident, pedestrian and other accident injury claims, we are a group of accident claim attorneys offering our legal services for Downtown L.A., Chinatown, Staples Center, the Los Angeles Convention Center, the Music Center, McArthur Park, Miracle Mile, and other places in Los Angeles, California. Our expert car accident injury lawyers know how to handle car accident cases, from getting damaged cars towed and repaired, free rental cars, immediate medical care without payment due until your case is resolved, to maximum settlements while providing legal advice and clear explanations of the claims process all along the way. Please click here to see what other clients have said about us in our testimonial section. What Our Downtown, Los Angeles Wrongful Death, & Personal Injury Lawyers Assist You With? Medical Care: Personal injury car accidents in Downtown L.A., CA often leave victims dealing with serious injuries that require regular medical care and physical attention. Our Downtown LA, CA lawyers help clients obtain medical care, including doctors, physical therapists, specialists such as orthopedic and plastic surgeons, neurologists, dentists and psychologists, usually without any payment until the claim is resolved. Moreover, clients can seek assistance for medication, X-Rays, including MRI and CT scans, usually also with no payment due until your claim is resolved. Vehicle Repairs: Downtown Los Angeles car accidents and collisions can cause big damages to cars, trucks and motorcycles. Our Downtown L.A. car accident lawyers and law offices help our injured clients with their vehicle repairs, storage, towing, and, when required, free car rental, rides, diminution in value post repairs, and replacement of totaled vehicles..
Transportation to Doctor: Our Downtown L.A. car accident lawyers assist clients in finding doctors, arranging appointments and, whenever required and appropriate, arrange transportation for injured clients to and from the hospital, medical clinic and other doctor and physical therapy appointments. Cash Advances/Emergency Loans: Downtown Los Angeles car accidents can exhaust your finances especially with unexpected medical bills and added expenses to take care of at a time when you may miss out on work and suffer a loss of earnings and income (often called LOE). Our experienced Downtown LA car accident attorneys and law offices will assist you in receiving loans and advances to cover those additional expenses, when appropriate. How to Contact a Downtown, Los Angeles, California Car & Auto Accident Injury Lawyer? If you or anyone you care about has been involved in a Downtown car, auto, truck or motorcycle accident or any motor vehicle collision or pedestrian accident, please call us right now for your FREE & CONFIDENTIAL car accident personal injury advice. You also may use the internet and simply go to our contact us form and tell us about your car accident or other injury case. You can look through our lawyer profiles and get to know our very experienced and well-qualified lawyers. Furthermore, learn about the formalities, procedures, and rules associated with Downtown Los Angeles personal injury and wrongful death claims by visiting our Car Injury Accident Web Site; and for more specific help about your particular car accident injury case please call us now at 818-222-3400 or 1.866 INJURY 2 (after hours just dial “1”) for FREE & CONFIDENTIAL consultation on your car accident injury case. Remember, our car accident injury lawyers offer FREE legal consultations and evaluations on Downtown LA car, motorcycle, truck and pedestrian accident claims and take our clients’ cases on a contingency basis, which simply means there is NO fee until you WIN! Downtown Los Angeles is the central business district of the huge city of Los Angeles (the second largest city in the entire United States), as well as a diverse residential neighborhood of thousands of people (currently over 50,000 people). 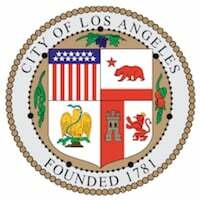 Also, the LA business district offers many jobs to those who practice law, work in the insurance and financial industries, clothing, jewelry and other merchants. Los Angeles was founded in 1781. Downtown today is composed of different areas ranging from various ethnic communities to fashion to banking to department stores and to movie theaters to wonderful restaurants and clubs that drew residents and visitors into the area. The downtown LA district after some prior years of decline has dramatically gown and become once again a most desirable location to work, be entertained and reside. The downtown business district of Los Angeles is also known for its government buildings, such as the Los Angeles Superior Court Central Courthouse, parks and various other public places, such as the beautiful Music Center. The estimated population in Downtown Los Angeles is approximately 58,702. 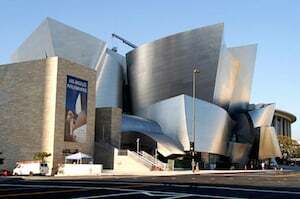 Downtown L.A. is known for its professional offices, its tree-lined streets, and several historic buildings. It is flanked by Echo Park to the north and northwest, Chinatown to the northeast, Historic South Central and University Park to the Southwest. Downtown LA is surrounded by the Los Angeles River on the east, on the Southwest by East Washington Boulevard and on the west by Beaudry Avenue. There are many elementary and secondary schools within these neighborhood boundaries. Dignity Health California Hospital Medical Center is well known for its wide range of medical services. Some of the famous places to visit in Downtown Los Angeles are Electric Dusk Drive in, Grand Park, Last Bookstore, the Los Angeles Market, the Superior Courthouse and Music Center. Downtown is and has been home to many famous people over the years, including Lizzy Caplan, Blake Lively, Armie Hammer, Chris Pine and many more. Here are some of our wrongful death & personal injury car accident attorney and law firms’ credits, awards and accomplishments. Over 40 years of excellent membership with California State Bar. Served at Los Angeles Superior Court, Central Division, in the capacity of Arbitrator. For an easy, free and confidential consultation, fill-in the details in our simple contact us form and fill us in on your Downtown Los Angeles, CA car accident, pedestrian or any other injury claim. You can even email us 24/7 at info@WalchLaw.com and you will receive a prompt response. Our injury accident lawyers offer an absolutely FREE & CONFIDENTIAL consultation AND there is NO fee unless & until you win. We work on a contingency fee for our services on accident cases, which means there is NO FEE until You WIN, so you do not need worry about money and its best if you contact us now and do not delay! Contact us now – You will be glad that you did!